Do you love Jesus? Join us! Are you still searching for him? We’d love to introduce you to the awesome savior! 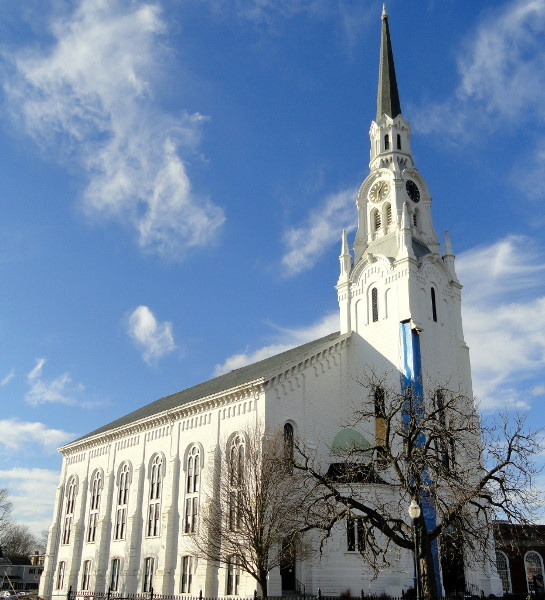 The First Church of Woburn is the first church in Woburn. We meet under the tallest wooden steeple in North America, which towers over the Woburn Center skyline. You can’t miss us!